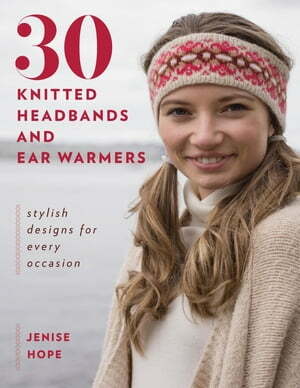 Collins Booksellers - 30 Knitted Headbands and Ear Warmers by Jenise Hope, 9780811765817. Buy this book online. There are so many reasons that headbands, ear warmers, and other types of head wraps are ever-popular! They can be used to keep your hair back, block the wind from your ears during outdoor activities, and add a little warmth without resorting to a hat, all while making a chic fashion statement. This book includes 30 headbands in a variety of styles, from traditional skinny bands to lacy mesh beach bands to colorful wide bands great for outdoor exercise. And the details make each one special. You will have fun knitting eye-catching colorwork, twisty cables, and open lace patterns. Best of all, these are all quick knits. You'll have a collection of stunning hair accessories in a flash!